On November 6-7, the 2017 MIT Water Summit convened experts from industry, academia, government and NGOs to examine critical issues at the food-water nexus. Presenters focused on the role of water in food production and how innovation, policy and technology can help communities to become more healthy and sustainable. 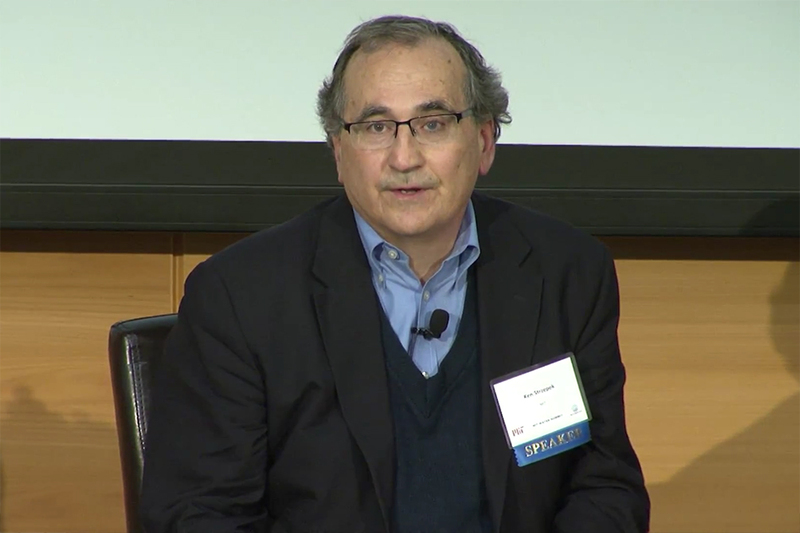 MIT Joint Program Research Scientist Kenneth Strzepek participated in a panel on our uncertain water future, which explored how climate change, politics and economics impact food production and water resource availability, and strategies to address these impacts. Strzepek noted that uncertainty about the future of water applies on local, regional and global levels. He identified several areas of concern, including the growing demand for water due to population and economic growth and rapid urbanization; how to ensure adequate water resources to support ecosystems; and how to prioritize the amount of rain-fed vs. irrigated land to use in food production, and how water is used (e.g. for food, biofuel, hydropower or manufacturing). Strzepek also explored uncertainties in where and how climate change will affect water supplies, and how best to minimize risks in water management.